Here we believe a balanced focus is important not just in life but also for a business. Our focus is predominantly on massages, and for good reason! There hundreds of benefits to a relaxing massage, some of which I’ll go over here. A joint tandem massage for a couples keeps you on the road to well being and self care, together. There is truly no downside to a couples massage, it feels good and it’s mutually beneficial! We have enjoyed so many couples spa days and massage treatments and want to pass our joy and togetherness and passion onto you, our valued guests. At all the other spas we’ve been to you are kept in seperate changing rooms and cramped together in a room not built for two, with four people crowded inside, the two of you and two more therapists all vying for space. Try an actual tandem treatment with two therapists on each person and thats a full blown circus with 4 therapists and the 2 of you all in a tiny cramped room, where you feel tight, you can hear everyone breathing on top of each other and it just totally takes away from the relaxing encounter your trying to have. At Sacred Pools our custom designed suites are built for two people and two therapists with plenty of room to spare in the case you’d like to go the extra mile with four hands on each body for a unique take on tandem massages. You will never feel crowded or claustrophobic, there is plenty of room to stretch out and be stretched. For some of our clients, a couples massage is a great way for one partner to introduce the other partner to the benefits of massage, even though they may have never tried it before. You may be nervous and not know what to expect. Being with a friend or significant other in the same room takes away some of those apprehensive feelings. If you are new to massage you might find this helpful. 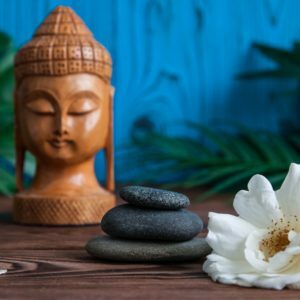 At Sacred Pools you can request the type of massage you like or have one of our world class therapists give you a custom full body multi-modality treatment tailored just for you and your needs. Your therapist will give you a short consultation, but remember you have a voice and to check in with them as they do with you as to where they should focus and how much pressure you would like. You know the post massage feeling where your mind is clear and your body is relaxed. An occasional massage leaves you feeling great, but regular massage can do so much more. The work your therapist does in each session builds on itself, helping your body maintain its relaxed state and your muscles loosen even during times of physical and mental stresses. Ask us about our massage package sessions where you can book a session a week for up to 8 weeks. The traditions of massage therapy dates back thousands of years and yet we still practice to this day. The first written records of massage therapy are found in China and Egypt. 2700 BCE. This text is still a common teaching tool for practitioners learning alternative medicine. The Egyptians are credited with mapping out reflexology and greatly influencing Greek and Roman medicinal and massage cultures. Egyptian tomb painting showing massage being practiced for medical purposes. India is also credited with having some of the first writings about practicing massage. We combine all these teachings with a world-wide philosophy of wellness and relaxation. Let us show you why regular massage is right for you.